Archery is one of the oldest Summer Olympic Games started as Olympic Games in 1900 Paris Olympics. Since then 83 nations have contested in 15 Olympiads. Archery was not part of Olympics in 1896, 1912 and then from 1924-1968. 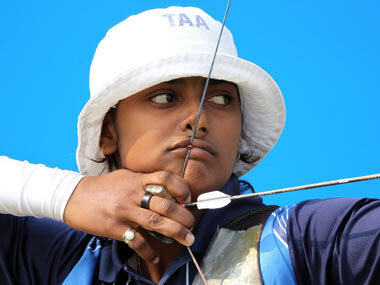 Check complete history of Archery at Olympics. France has appeared maximum 12 times. South Korea has won maximum 16 Golds and overall 30 medals. US follows with 14 Golds and 31 medals. Belgium (11 Gold and 20 medals), France (6 Gold and 23 medals), Great Britain (2 Gold and 9 medals). China (7), Soviet Union (7), Italy (6), Finland (4), Ukraine (4), Australia (2), Netherlands (2) and Spain (1) are the other Gold medalists. All of them have won one gold each. Japan (3), Sweden, Chinese Taipei, Germany, Poland and United Team have won 2 medals each, Indonesia, Russia have won a medal each. Since 1972 Olympics it is called modern Archery. Before that in 1900, 1908 and 1920 maximum 3 nations participated. France, Belgium, USA, Netherlands and Great Britain were the participating nations. 1904 saw only USA participating. India is participating for the 7th time in Olympics Archery. 1988, 1992, 1996, 2004, 2008 and 2012 saw Indian team.